Smithing is the crafting skill for combat, providing the ability to create and improve (or temper) weapons and armor. The higher your skill level, the more you can improve weapons and armor. The Smithing skill tree has a total of 10 perks, requiring a total of 10 perk points to fill. In-game description: The art of creating weapons and armor from raw materials, or improving non-magical weapons and armor. * The Dawnguard add-on changes this description to "Can create Dragon armor and Dragonbone weapons at forges, and improve them twice as much". Grindstone: Sharpen weapons for extra damage. The higher your Smithing skill, the more the weapon damage is improved. Forge: Create new weapons and armor from raw materials. What you can create is determined by your Smithing skill perks. With Hearthfire installed, you will also be able to create certain housebuilding materials. Anvil: Same effect as the Forge. Tanning Rack: Create leather and leather strips from hides; hides are most commonly obtained by hunting animals. 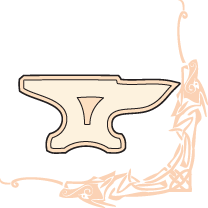 Smelter: Create ingots from raw ore or Dwemer scrap metal; raw ore is most commonly obtained by mining. While the skill tree might appear to be a circle, it is really two separate paths, both ending at Dragon Armor, which allows creation of the best light armor (Dragonscale) and second-best heavy armor (Dragonplate). Players may wish to focus exclusively on one of the two branches — either the left-hand branch (primarily light armor), or else the right-hand branch (almost all heavy armor). The left-hand branch is shorter, requiring one fewer perk than the right-hand branch to reach Dragon armor. Since the left-hand branch includes medium-quality heavy armor (steel plate, via the Advanced Armors perk), the left-hand branch can also be a good choice for heavy armor specialists. Also note that damage reduction from armor maxes out at 567 displayed armor rating, which can be achieved with nearly any armor in the game given sufficient improvements via tempering and armor skill. Therefore the difference in armor rating between Dragonplate and the best heavy armor, Daedric, is not necessarily significant. The lighter weight of Dragonplate armor may be of more importance, unless you have either the Conditioning perk or activate The Steed Stone, both of which negate the adverse effects of heavy weight. The available weapons are also an important difference between the left and right branches. Both ebony and Daedric weapons are better than glass ones, which is the best type offered by the left-hand branch. However, when upgraded to Legendary quality, the damage difference between a glass weapon and a Daedric one will be less than 10% (exact number depends on weapon type). The Dawnguard add-on also adds the ability to create the even stronger Dragonbone weapons, provided the respective perk is purchased. Using the Grindstone/Workbench allows the refinement of weapon/armor depending on the character's Smithing level. The levels of item qualities are Fine, Superior, Exquisite, Flawless, Epic, and Legendary. The Smithing level required to unlock these qualities depends upon whether the character has the Smithing perk of the item's material. Unlike Enchanting, the same improved weapon/armor can be modified again if your Smithing skill increases or by using potions or enchanted apparel that provide a Fortify Smithing effect: this of course costs another ingot of whatever metal or item is involved in improving it. Quality levels continue past Legendary, although the displayed quality will not reflect that. Each new level increases chest armor ratings by 3.6 and weapon/other armor ratings by 1.8, resulting in an increase of about +0.1 per effective skill point for chest armor, and +0.05 for other items, meaning a smithed "suit" goes up about 0.26 per effective skill point, 0.31 including a smithed shield. "Fortify Smithing" equipment and potions directly improve the effectiveness of refining equipment, thus allowing any item to be made Epic or Legendary. Without these, it is impossible to improve a plain Iron or Leather item (or similar item which has no associated perks at all) beyond "Flawless" (100 in the skill), even though better-quality items might be made "Epic" or "Legendary" with the necessary perks. For instance, say you have a Smithing level of 45 (with Dwarven Smithing perk), and pieces of Elven and Dwarven equipment you want to improve. With appropriate supplies, you would improve the Dwarven to Exquisite, but the Elven only to Superior. A plain Iron item would also be limited to Superior because of the lack of an associated perk, even though a Steel item could be made Exquisite (due to Steel Smithing being a prerequisite perk for Dwarven Smithing). The Dragonborn add-on includes some new Fortify effects for Enchanting and Alchemy; see the enchanting article for instructions. In addition, that article leaves out the fact that there is a third Seeker ability, Seeker of Might, which will Fortify your Smithing. Taken together, these raise the maximum to 1393, the same as 1370: quality 41. Version 2.0.0 of the Unofficial Skyrim Patch fixes the Notched Pickaxe so that it adds 5 to your Smithing skill, as it claims it does. This is not a standard Fortify Smithing effect (which applies to tempering directly, not skill level), but rather a straight +5, like Fortify effects normally affect armor skills. This raises the maximum to 1030, the same as 1026: quality 31. If you have both, the maximum is 1472.76; because this number is reached after the flooring operation but before the ceiling in the underlying math, it will behave like 1473, giving quality 44. These additional levels are shown below. Note that the final rating increase can be a non-integer value. Damage calculations will use the exact (real) rating boost, but you'll see a rounded version of the number in the game menu. Armor ratings are rounded up to the nearest integer, while weapon damage is simply rounded to the nearest integer. With a base smithing skill of 100, the relevant armor smithing perk, four 29% fortify smithing enchantments, and a 130% fortify smithing potion, the effective skill equals 874.84 (item quality = Legendary 26), which yields a bonus of +93 to chest armor and +47 to other items - 234 total without a shield. Without the perk, the same yields an effective skill of 444.07 (item quality = Legendary 14), or 49 and 25, respectively - 124 total. Due to the fact that a full set of perks in the relevant armor skill plus 100 skill points gives an approximate multiplier of 4.375 to armor rating, and because a full suit of armor provides an additional 100 pseudo "armor points", with an only slightly better set of enchantments and potion, you'd be able to bring armor with zero armor points up to the cap of 667 - and none such exist. This is why it eventually doesn't matter what you're wearing - any armor suit in the game can reach the cap. Note that perks may not allow you to improve items any better with them as soon as they become available; for example, you can purchase Steel Smithing at skill level 15, but you will not actually be able to temper Steel items any better than without the perk until skill level 22. One-Handed Swords and Daggers have Ebony = StalhrimDB (lighter). One-Handed War Axes and Maces also had the above set when Stahlrim was implemented, but at implementation time, there was a bug in the underlying values for Ebony. As a result, unpatched Skyrim has Daedric = Ebony (lighter) = StalhrimDB (lighter) for these. Unofficially patched Skyrim changes Ebony to accurately reflect its position in the "pecking order", without maintaining the Ebony = Stalhrim (lighter) formula for one-handed, resulting in Ebony < Daedric = StalhrimDB (lighter). Bows have Orcish < Nord Hero < Dwarven, and Ebony = StalhrimDB (lighter) like swords and daggers. Arrows have Dwarven = NordicDB < Elven, and Nord Hero arrows are only available with the unofficial patch. Also, while the positions do not change, arrows have no weight, so (lighter) entries are no longer lighter. For shields, see the Block article for a more in-depth analysis of which materials make the "best" shields. No Perk: You can make Iron weapons, Iron Heavy Armor, and Leather Light Armor. Steel Smithing: You can make Steel weapons and Steel/BonemoldDB Heavy Armor; once you can temper things better at skill level 22, a variety of weapons become improvable, including Hunting Bows. If you can manage to acquire the necessary recipe and materials, you can also make Improved BonemoldDB Heavy Armor. Elven Smithing (Smithing Level 30): Assuming you can get the materials, you can now make Elven Gilded light armor, Elven weapons (including forgeable bows), and, if you have the DLC, ChitinDB heavy armor. Advanced Armors (Smithing Level 50): No matter what, your Light Armor doesn't actually improve at all; if you have access to Dragonborn, your Heavy Armor is now better than Orcish, and your weapons are lighter (but don't hit any harder) than Elven, although your arrows have not improved, no matter what. Glass Smithing (Smithing Level 70): Light Armor finally takes a step forward again; StalhrimDB is better, but only with a tempering perk, and Ebony Smithing requires 10 more Smithing Levels than Glass does. All of your weapons get better, including arrows. Your Heavy Armor does not get better, for the first and only time on this path if you have DragonbornDB. If you have fully completed the Block skill - 100 levels and all perks that improve Blocking - you can now make the lightest shield in the game capable of maximum blocking without external effects assisting it, such as enchanting or potions. Dwarven Smithing (Smithing Level 30): If you have access to Dragonborn, no benefit at all over Elven - all three forging categories are worse, and Heavy Armor isn't even as good as Steel Smithing, if Improved Bonemold has been unlocked. If you don't, Heavy Armor takes a step forward, as do weapons. Orcish Smithing (Smithing Level 50): No matter what, your weapons don't get any better, nor does your Light Armor. With DragonbornDB, your heavy armor is worse than if you'd taken Elven and Advanced Armors; otherwise, your heavy armor is better than both Dwarven and Advanced can offer. Ebony Smithing (Smithing Level 80): Note the gap; this is thirty levels more than Orcish took, so you'll have spent a fair amount of time without an upgrade. Heavy Armor steps forward - twice if you have DragonbornDB, supplanting Dragonplate, and it also lets Light Armor leap to being better than Glass. Weapons permanently commit to being better than on the other branch, until the two join up. Daedric Smithing (Smithing Level 90): Highest Armor Rating Heavy Armor in the game; no improvement for Light Armor. Best weapons in the game unless you have access to StalhrimDB, in which case no benefit over Ebony, and unless you have DawnguardDG, in which case only best until the two branches join up. Dragon Armor: Best Light Armor in the game, best weapons if you have DawnguardDG; worse than Daedric or StalhrimDB for Heavy Armor, so only of benefit there if you came up through Glass. The "greediest" path for Heavy Armor/Weapons with all DLCs and mods is therefore: Steel Smithing, Elven Smithing, Advanced Armors, Glass (for better weapons), then save up perks until you can buy past Dwarven and Orcish to reach Ebony, then buy Daedric for the Heavy Armor if you need it, and Dragon Armor for the weapons. Light Armor/Weapons is more straightforward: Steel for the weapons, Elven, either buy Advanced for lighter weapons or save up until you can buy past it to Glass, then wait on Dragon Armor; you can spend 3 perks buying Ebony Smithing for the Light Armor step between Glass and Dragonscale, as well as the next weapon step, but the difference is relatively insignificant by this point. One of the benefits of Smithing is that you can make entire armor suits provided the raw materials, allowing you to force the appropriate skill's matching set perk to apply, rather than relying on finding the gear you need. An emergent behavior is that your armor suits will steadily outpace anything your foes are wearing, as none of them wear smithed gear, and because most of the smithing perks have prerequisites, they functionally end up implying an even higher armor value than may be immediately apparent, because you will always end up tempering your manufactured gear. One of the results of this is that you will often end up better off in "worse" armor you made and tempered yourself than you have found while adventuring, because your access to the relevant smithing perk means your tempered armor rating is better, even if you tried to temper the item you found. This is why, for example, if you have picked up Advanced Armors and are wearing Nordic CarvedDB armor, anything better you can't temper is underwhelming, and spending perks on better Heavy Armor has such diminishing returns. Sticking with our example, if you suppose you have 80 levels in Smithing, so with 3 perks to burn you can reach Ebony Smithing, your Nordic Carved Suit is already tempered to 137; without tempering perks, this makes it the best in the game (Daedric would temper to 133) for you, and spending the necessary perks would only get you 140 with Ebony or 146 with StalhrimDB, neither of which is substantially better than 137. Those same perks would get you more protection spent on the appropriate Heavy Armor perks, and similarly, let you deal more damage spent on the appropriate weapon skill perks. +1 Smithing reward from Oengul War-Anvil for completing the quest Find Queen Freydis's Sword inside <Dungeon>. +1 Smithing reward from Rustleif for completing the quest Rare Gifts. +1 Smithing reward from Ghorza gra-Bagol for completing the quest Skilled Apprenticeship. +1 Smithing reward (as well as +1 to all other combat skills) from Giraud Gemane (Bards College) for completing the quest Rjorn's Drum. +5 Smithing reward (as well as +5 to all other combat skills), if you choose The Path of Might when reading the Oghma Infinium. Crafting items at forges gives the largest overall skill increases. Improving items at workbenches or grindstones gives skill increases based on the value added to the item at a rate similar to crafting. Smelting items at a smelter does not give skill increases. Tanning hides does not give skill increases. Animal hides provide plenty of free leather, and are lighter than the leather created from them. Process them into leather just before creating or upgrading items. Leather bracers provide the most XP per leather. For the fastest leveling, make sure you have the Warrior Stone active (20% faster), and have slept in the past 8 hours (+5–15% faster, depending). You should also consider completing the quest Unfathomable Depths (see §Bugs). XP = 3 × item value0.65 + 25. Because of the flat 25 XP for each item created, it usually is of greater benefit to craft many cheap items than few valuable items. For example, making 5 iron daggers requires 5 iron ingots and gives (38.4 × 5 =) 192 XP. Making one Iron Armor uses the same amount of materials but yields only 94.2 XP. Making gold or silver jewelry can quickly level up smithing without perk investment. 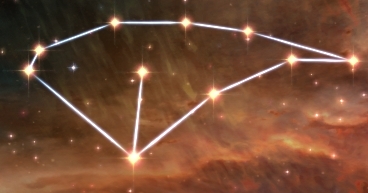 Players can cast Transmute Mineral Ore to convert iron ore to silver ore and silver ore to gold ore. An iron dagger (10 gold) yields 38.4 XP per ore chunk, whereas 2 gold rings (150 gold total) yield 51.5 XP per ore chunk—34% more efficient Smithing XP gain, along with Alteration XP from the transmuting. [verification needed — these values were changed] Halted Stream Camp has a free Transmute Mineral Ore spell tome and lots of iron ore.
where Δitem value is the amount that the item's gold value increased from the improvement, and Q is the quality number of the item (Q = 0, 1, 2, ... is No Improvement, Fine, Superior, ...). Note: the reason that the delta value is used instead of the item value is because calculating the delta of enchanted items using the multipliers doesn't work, and the multipliers are not always accurate on non-enchanted items either. For example, improving an Iron Armor from Fine (value = 145) to Exquisite (value = 187) is a value difference of (187 - 145) = 42 and a quality change of 3 - 1 = 2, so the predicted ΔXP = 3.8 × (42)0.5 × (2)0.5 ≅ 34.8 XP. With the Dwarven perk and Smithing at or above level 40, improving Dwarven Bows will garner significant XP using readily available (or smelted) Dwarven ingots and easily craftable Dwarven Bows. Once the Ebony perk is unlocked, creating and improving Ebony Bows will garner five times the XP of improving Dwarven Bows. With Hearthfire installed, crafting 10 Nails yields the same XP as an Iron Dagger, but doesn't require leather strips. With Dawnguard installed, Iron Arrows are a good way to level up Smithing at low levels. A stack of 24 Iron Arrows gives almost as much XP per ore as a Gold Ring, without the necessity of learning Transmute. Dwarven Arrows are even better, if you have the Dwarven Smithing perk. Collect all Dwemer scrap metal that you find in your travels. A couple of Dwemer ruins can yield 100 ingots; carefully collecting every bit of available metal in every Dwemer ruin will yield over 1200 ingots, producing over 28,000 arrows which can easily raise your Smithing level by 40 or more. You can wait to sell the arrows (e.g. to vendors with low gold who cannot afford your better loot) since they weigh nothing. Other types of arrow are generally less efficient, since other metals require two ores per stack of arrows. With Dawnguard, complete the Lost to the Ages quest and create the Aetherial Crown. Use the Crown to gain both The Warrior Stone and The Lover Stone effects, granting a 35% boost to Smithing XP. Acquiring the Ancient Knowledge ability gives you an additional 15% boost. And, finally, sleeping in a bed you own can give you a 10% (15% with a spouse) bonus. This adds up to a potential 65% boost to XP when Smithing. Note that you must store the Lover Stone effect in the Aetherial Crown, and remove it before sleeping to gain both bonuses. Also, the sleeping bonus is prevented if you are infected with lycanthropy. Unlike in other Elder Scrolls games, weapons and armor do not degrade with use, and therefore repairs are not necessary. One good place for players trying to quickly increase the Smithing skill is inside and outside of Warmaiden's in Whiterun because there is access to all Smithing equipment, and Adrianne Avenicci and Ulfberth War-Bear are available to quickly buy and sell items, in addition to the various other merchants, such as Belethor, the Drunken Huntsman, the Honningbrew Meadery and the Skyforge business owner. Be aware, however, that Adrianne will occasionally go inside the shop, at which point she shares her available money with Ulfberth. The two may share available money anyway, if you sell to one, save the game, reload that save, then sell to the other. Improving or enchanting a stolen item will not remove its stolen status; however, improving or creating items with stolen components does not mark the resulting items as stolen. Without the Dawnguard add-on or the use of mods, it is impossible to craft arrows. Smithing jewelry can be the most effective way to boost your skill level after completing the quest No Stone Unturned. The bonus from Ancient Knowledge is applied after any tempering. In the base game, this means that Dwarven armor will improve less than all other armors, all else being equal. With the Unofficial Patch, Dwarven armor bonuses improve more than all other armors, meaning that it will eclipse even Daedric armor for overall protection with only moderate levels of Smithing. It takes 1,858 leather bracers (1,858 leather and 3,716 leather strips) to get from level 15 smithing to level 100 smithing, if done all in a row, with no modifiers to amount of experience earned (no standing stone bonus etc). After improving a weapon, the damage difference with your equipped weapon may not update. To resolve this, either equip another weapon or unequip your current weapon. Ancient Knowledge gives a 25% bonus while wearing any type of armor (not just Dwarven) and increases effective smithing skill by 15% when tempering weapons and armor instead of giving a smithing leveling bonus of 15%. This bug is altered, but not fixed, by version 1.9.26.0.8 of the Official Skyrim Patch, which makes the 25% armor bonus apply to all armor except Dwarven (the effective smithing skill portion is unchanged). If you make your Smithing skill legendary, then raise your skill and reselect the Arcane Blacksmith perk, you may be unable to improve enchanted weapons and armor, especially ones that have been given two enchantments. This page was last modified on 9 November 2018, at 05:51.